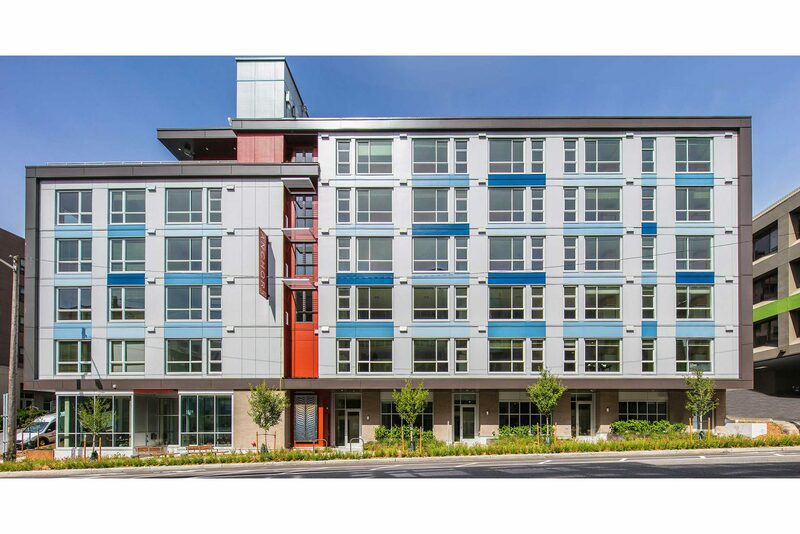 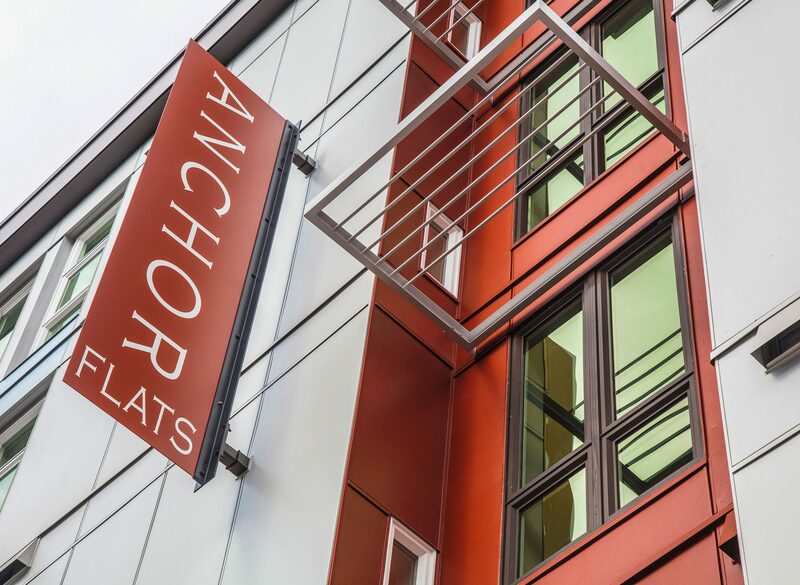 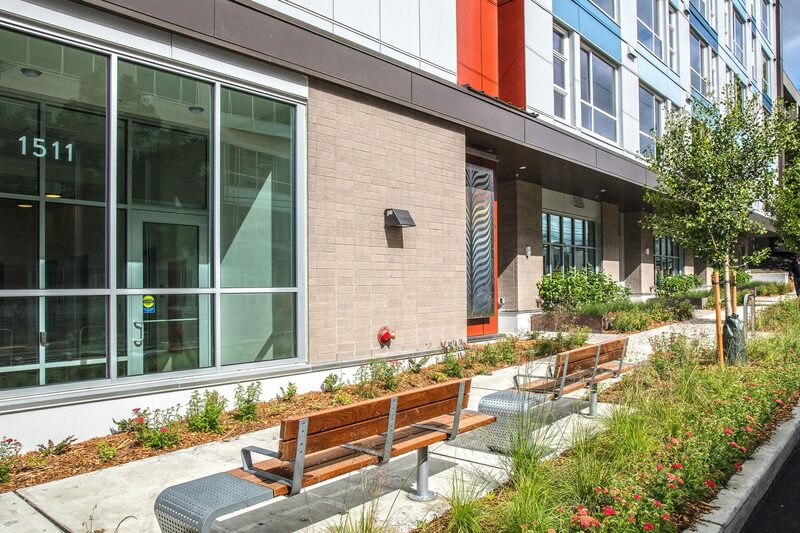 Anchor Flats is a workforce housing project located in the north end of Seattle’s South Lake Union neighborhood. 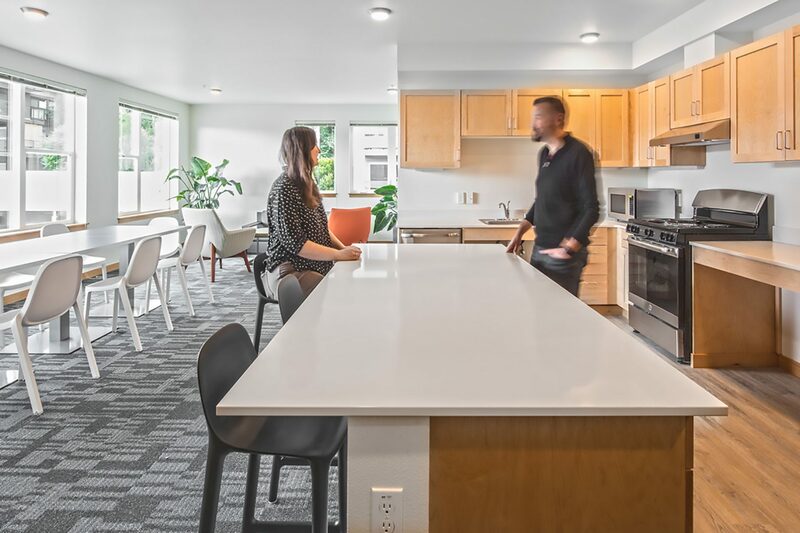 The project consists of three live-work units, 68 apartment units, two shared laundry rooms and a roof deck overlooking Lake Union and downtown Seattle. 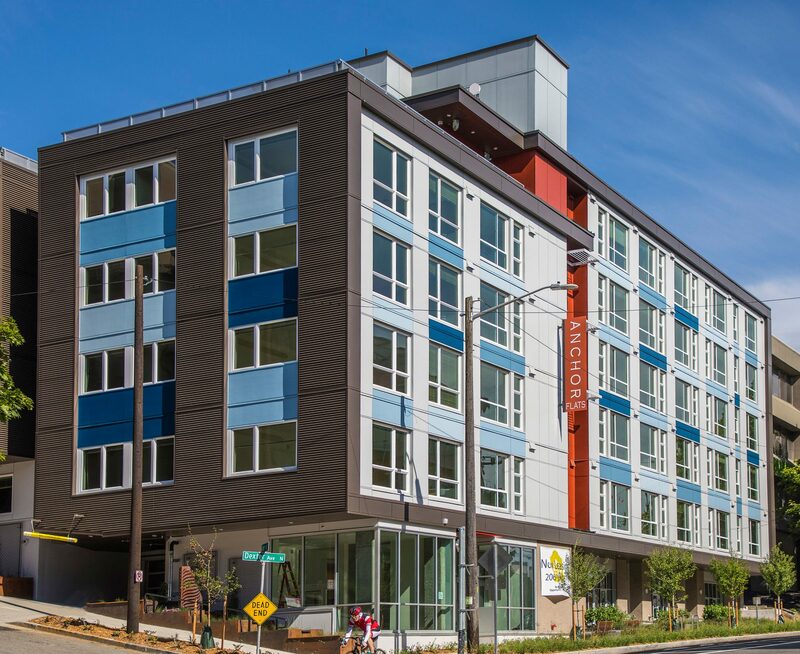 The architectural expression of the building reflects a neighborhood pattern of east-facing orientation towards Lake Union, with a light, dynamic, expressive and highly fenestrated façade. 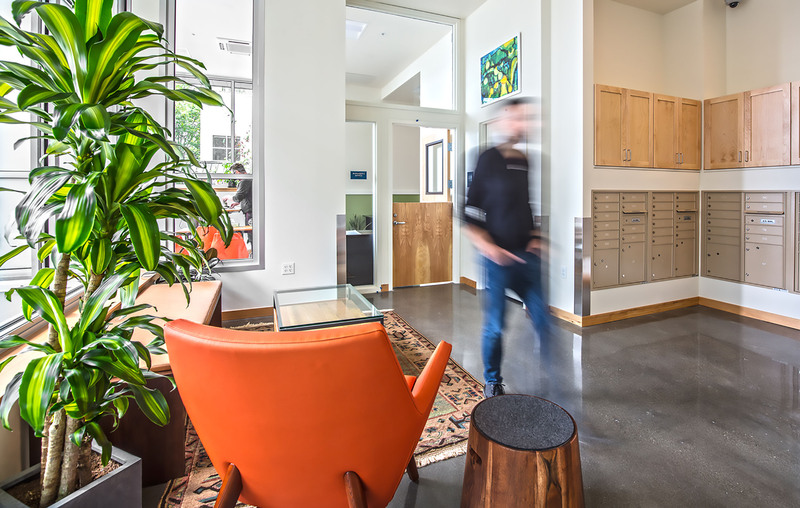 The project team collaborated with adjacent neighbors to arrive at a massing and height that appropriately preserves views for the uphill neighbor while meeting development objectives. 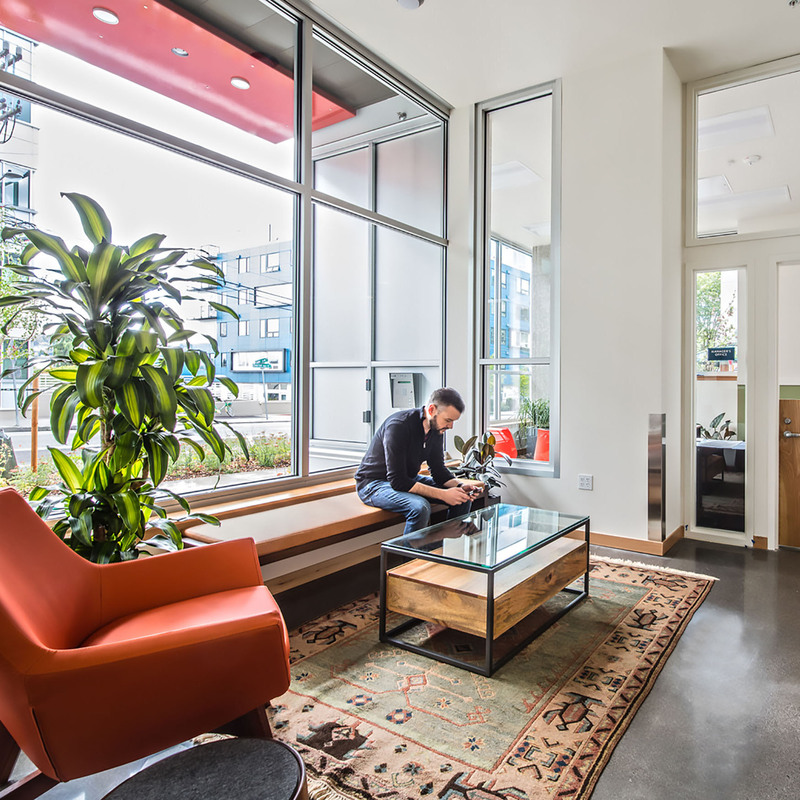 Large east facing windows allow for a considerable amount of light to enter the common spaces.